Jacque Tara Washington is the executive producer of her two independently produced CDs: World of Passion and Jazz Passions. Jacque performed in Matsumoto, Japan for 3 months and was invited back a year later as the featured jazz vocalist for the grand opening of the Tokyo Dome Hotel in Tokyo, Japan and she performed in Tokyo for 3 months. 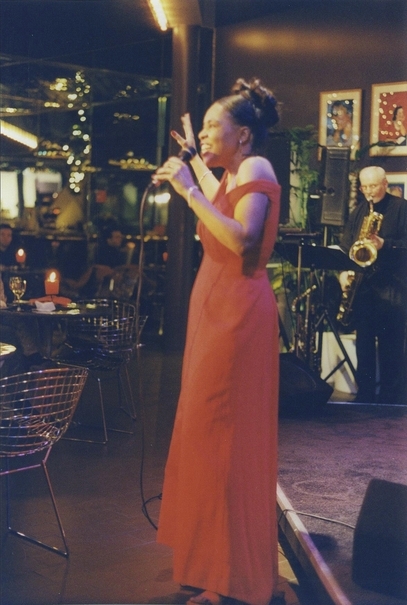 She was the featured jazz vocalist at the Portman-Ritz Carlton Hotel in Shanghai, China. Jacque performed in Martinique, the French West Indies for a tribute concert to the late trumpeter Don Cherry, and in London, England at the Palookaville Jazz Club. Jacque also appeared regularly on Black Entertainment Television’s Jazz Discoveries. Jacque has performed in various venues across the United States and continues to sing with various big bands. Jacque won rave reviews for her self-penned one-woman musical/drama Billie’s Diary, based on the life and music of legendary jazz vocalist Billie Holiday. The Herald/Post Standard chose Jacque’s play and performance among the best of the year. Some Actors’ Equity Association musical theatrical achievements include Jacque’s portrayal of Billie Holiday in the musical/drama Lady Day at Emerson’s Bar & Grill, which she performed for several theatre companies, Mama Euralie in Once On This Island, Berenice in Member of the Wedding. She originated the role of Cleo Wilson in the musical/drama Soul Sisters, which premiered in the Berkshires and toured nationally. Jacque performed her self-penned performance productions of Trav’in: A Musical Journey in Blues and Jazz; Billie’s Diary; and Yes, No, Maybe So, a seven-character musical/comedy/drama designed for elementary and middle school-aged children. 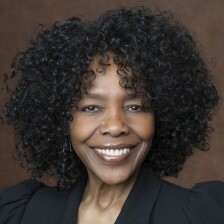 Jacque wrote and produced a series of radio programs for public radio entitled Voices: The Music and Politics of African American Vocalists. She wrote the theme song for a weekly woman’s radio news show Women’s Voices. She also produced a monthly segment for that particular show entitled Speaking Script, which focused on female playwrights and their works. Jacque has also worked as a radio broadcaster and talk show host. One of the three degrees Jacque holds is a BFA degree in Visual and Performing Arts-Musical Theatre from Syracuse University. She is a member of the American Society of Composers, Authors, and Publishers (ASCAP). Jacque is the recipient of the Jazz Vocalist of the Year Award from the Syracuse Area Music Awards Association and her voice can be heard on national and regional jingles.